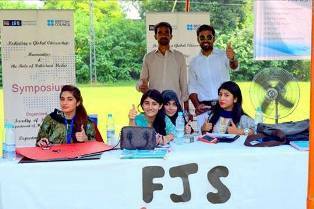 The Student Activities Office organized University Societies Fair and College Societies Fair on 14 and 15 September 2015 respectively. 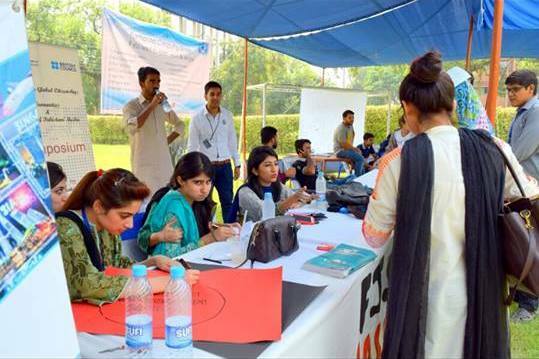 Students were introduced to the different societies serving at Forman Christian College. 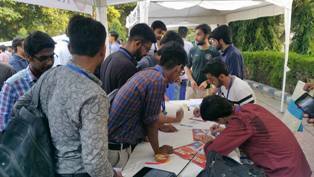 The Societies stalls were organized to explain students about the importance of co-curricular activities, leadership opportunities for the students, the working of student societies and how they can be a part of any society. 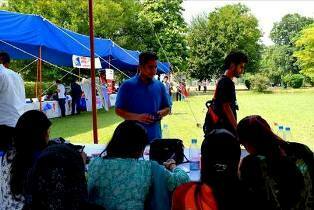 Students were also allowed to register in their desired societies. 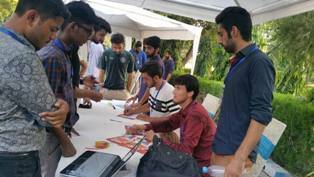 Opportunities were available for departmental and campus wide societies to set up display tables, distribute leaflets and hang banners to build awareness of their societies and to recruit new members. University Chief Proctor Prof. Muhammad Nawaz , Intermediate Chief Proctor Prof Muhmmad Asif Shami and Director Student Activities Mr Kashif Sharoon were also present during the event.